This air mover ducting is made specifically for our Dri-Eaz Vortex air mover. It is 25 feet long, by 12 inches in diameter with a built-in protective case. 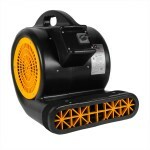 Connect one or more sections of ducting to the Vortex fan for powerful, concentrated ventilation. An absolute necessity when doing flood restoration cleaning. The semi-rigid construction is reinforced with a helix steel wire that resists collapsing, even during negative air extraction. Black reinforced strips protect this internal wire during service and transport. This ducting can also be used on the negative-pressure (intake) side of our Dri-Eaz HEPA 500 Air Scrubber/Negative Air Machine, without ever having to worry about the ducting collapsing due to the reinforced by a steel helix ring that helps them maintain their form." 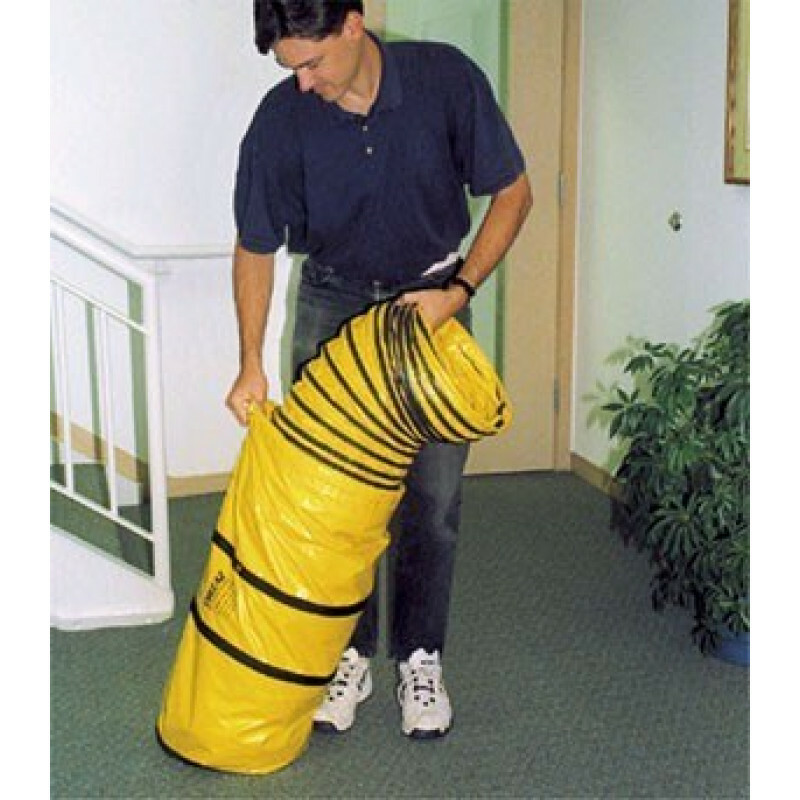 Built-in bag with sturdy handle contains and protects ducting during transport and storage. Semi-rigid ducting constructed with spring steel wire helix resists collapse under negative pressure. Black reinforcement strips protect internal wire to ensure long service life. This is a review for the Dri-Eaz® Vortex Sto & Go Ducting - 25' x 12".